Another good tournament went well! Big fish went to first place winners with the weight of 1.58lbs. Even though there wasn’t a lot of big fish caught, everyone had a good time and everyone caught fish. 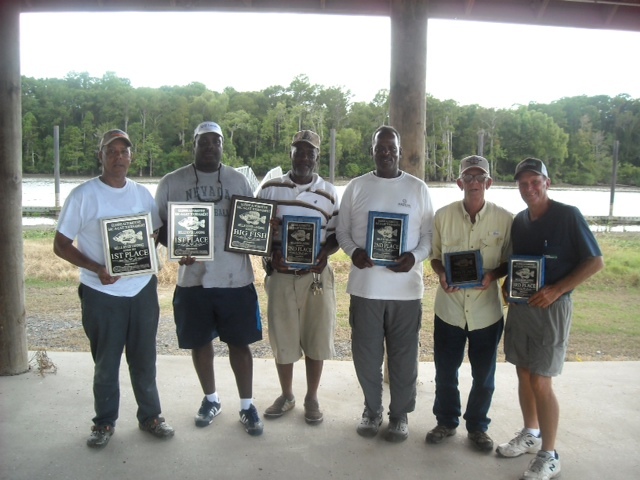 First place winners caught their fish on a hand tied hair jig (hand tied by JC Carville). Special thanks to OREILLY AUTO PARTS for sponsoring all plaques and also to Gary Rispone for helping put the word out about these tournaments. Looking to have another tournament before the year is out. Thanks again to everyone who attended!